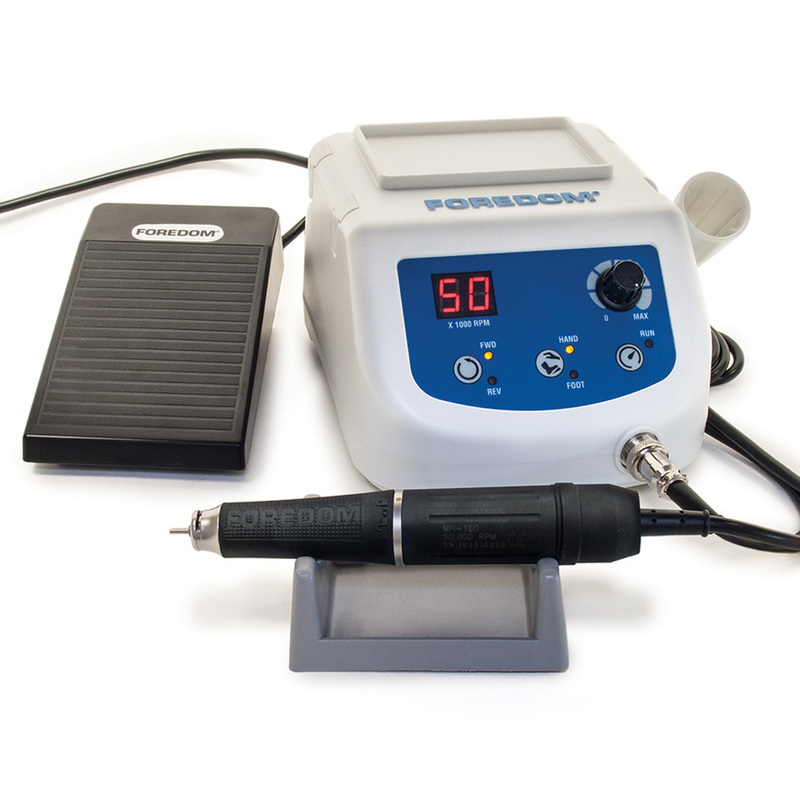 Foredom®, the world leader in Flex Shafts and Rotary Tool systems has brought to the jewelry industry a powerful, smooth running micromotor system giving high-torque and high speeds! The K.1060 Micromotor System features a brushless motor design eliminating the need to replace any carbon brushes while giving up to 50,000rpm maximum speed at 160 watts of output power. Construction of the control unit is a sealed plastic housing thus eliminating dust, noise and excessive vibration. Handpiece is ergonomic and constructed with a comfortable coated rubber grip. 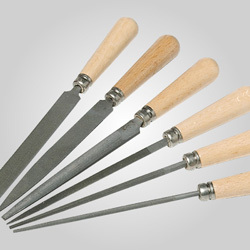 Designed with a "twist" quick-change mechanism to easily change your burs/tools in a matter of seconds. Unlike other similar models on the market, this model can change between collets (3/32" and 1/8" collets included) quickly and easily. 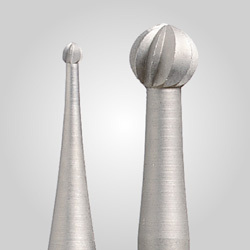 Handpiece is 6.5" (165mm) long, 1.125" (29mm) diameter at the thickest end, .5" (13mm) diameter at the nosecone, 5’ (152.5cm) long handpiece cord and weighs 11.5 oz. (.33kg). Control Unit features a Dial Speed Control to set your precise desired speed or set at the maximum speed to operate the variable speed foot rheostat. Comes with easy-to-read LED digital display, forward and reverse function button, dial or foot control button, built in overload and a convenient handpiece holder that could be installed in (4) optional locations on the control unit. Control unit is 6" W x 8˝ D x 4.25" H (153 x 203 x 108Hmm), 6' (183cm) cord, and weighs 5.4 lbs. (2.5kg) 115V/230V – 50/60Hz, Weighs 9 lbs. 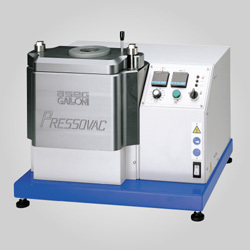 (4kg) Two-Year manufacturer's warranty. Made in China.